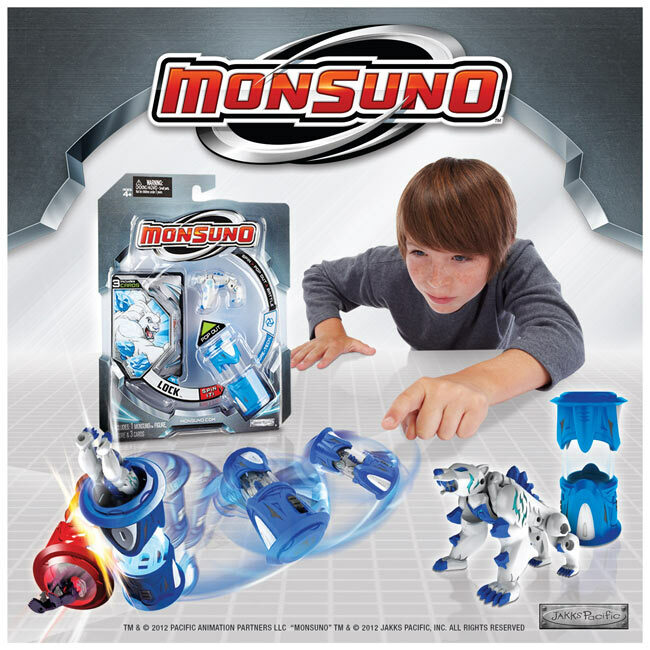 MALIBU, Calif -- February 13, 2012 -- JAKKS Pacific, Inc. debuts the much-anticipated toy line based on the original animated entertainment franchise Monsuno™. The comprehensive toy line, featuring innovative, kid-controlled action figures, accessories, combat sets, collectibles, electronics and integrated role play, brings the larger-than-life adventures of the Monsuno animated series into kids' hands. "The strong reception we have received thus far for Monsuno underscores our belief that Monsuno is poised to become an outstanding world wide boys' action adventure property," said Stephen Berman, President and CEO, JAKKS Pacific, Inc. "We are excited to finally introduce our innovative, action-driven Monsuno toys and the animated series to children all over the world."